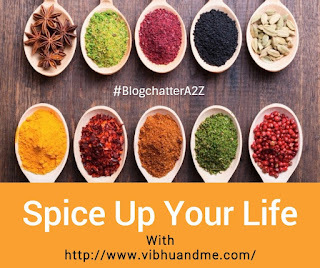 This is the first post of #BlogchatterA2Z and I am super excited. 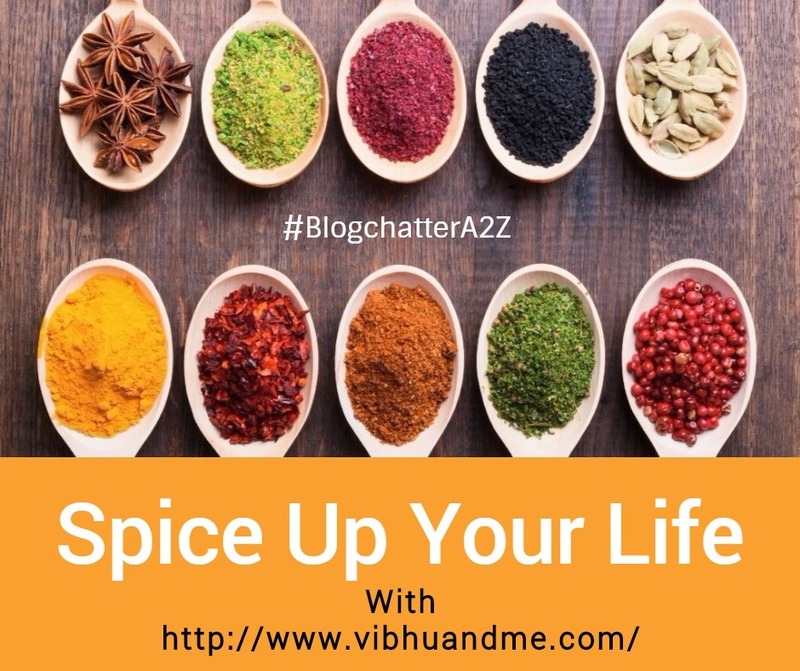 Although I have nothing in my draft and I have decided to write posts every day, still I am hopeful that I would complete my trek of #BlogchatterA2Z. My theme is around Spices. Yes, those dried flavoring ingredients that are part of Indian cuisine since ages. Even our common everyday food is incomplete without the hint of spices. What is Daal without Cumin Tadka, right!! While I was searching for spices available in India, I read that more than 150 types of spices are officially available in the whole world. I am using the world "officially available" because many other unknown herbs and provincial spices are now limited to ancient medicine books and literature. Out of 150 spices of the world, more than 65 are grown in India. And even India is the biggest exporter of a few spices. Black pepper is one of them. Spices are part of Ayurveda since the time of Puranas and Vedas. Rigveda and hymns of Yajurveda have plenty of remarks about the use and the importance of the different type of spices. The Epics, Ramayana, Mahabharata and both the New and Old Testaments of the Bible mention about spices on various occasions. Our relationship with spices is that old. And I don't think we would ever break it in coming centuries. However, over the course of time, the use of certain spices because of their trade benefits, shadowed the other uncommon ones. And hence today our knowledge is very limited about them. Have you ever heard this name? No? Let me ask you a regional name for this spice. Have you ever seen Ratin Jot (रतन जोत) in your local spice store? No? I knew this as Ratin Jot is not a well know spice in today's time. However, it has many unique attributes. 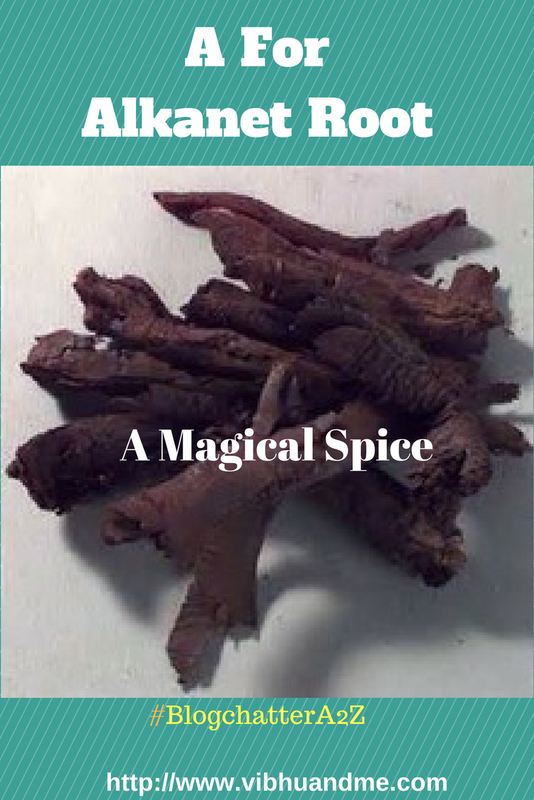 The spice belongs to herbal plant Alkanna tinctoria, which comes with specific health benefits for human health, particularly for its root. Alkanet root is quite large and thick with reddish color. The root is used after proper drying just like other spices. Alkanet Root apparently has been used as a dye since the earliest recorded history. The first reported use of Alkanet Root as a red dye is found in the works of Greeks. In India, Alkanet Root is being used for both medicines and as a natural coloring agent since ages. In ancient time, Alkanet Root was used for preparing hair dyes and cosmetics. Even today's Patanjali Sindoor has Alkanet Root (Ratin Jot) that gives sindoor stick it's deep red color. As a spice, the powder of Alkanet Root is traditionally used in curries to give it a bright color. Both Alkanet Root and turmeric give the vegetable curry a unique color that makes the preparation even more beautiful. When anti-anxiety and anti-depression medicines were not even thought of, Alkanet Root was there to relax people from stress. Any oil when gets mixed with Alkanet Root becomes a natural cooling agent that calms the mind and heals our mental health. Alkanet root is believed by most traditional people to cure diseases such as skin allergy, vomit, itching, and influenza. The root contains such beneficial function as anti-biotic, anti-inflammation, anti-bacterial, and diuretic. That is why it can be helpful in curing many health problems. As per Ayurveda, alkanet root can be used to heal burn scars since it has the natural ability of anti-inflammation and cooling to absorb the heat out of the skin. 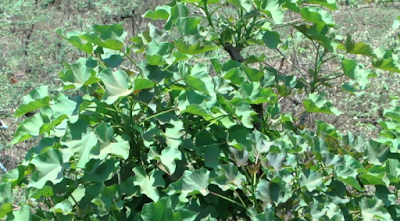 The natural cooling character of alkanet root makes it a natural cure to cool down the fever. Anti-virus and anti-bacteria of the alkanet root help in all skin related issues. Ayurveda also states that alkanet root is good for people who suffer insomnia or other sleeping disorders. Because of its plenty of benefits, alkanet root is good for heart health, hair health and even in blood pressure. Mix coconut oil and powder of Alkanet Root, and keep it in a bottle after draining it through a muslin cloth. You can use it for your hair and for your skin both. It is a magical oil that gives strength and an innate color to the hair. Also, it cures skin issues and gives skin a natural glow. Just go and ask for Ratin Jot (रतन जोत) in your local spice store. I've never heard of this, but the benefits definitely make it worth looking up! Very interesting. Looking forward to tomorrow. That's a great post, Shipra! I too believe in the magical powers of spices. However, alkanet root was a spice unknown to me. Thanks for sharing it. Hi Shipra.. what a wonderful theme to choose and you have dealt with it so emphatically at the start itself! I bet, like me, many would not have heard about this spice even, let alone having used it. 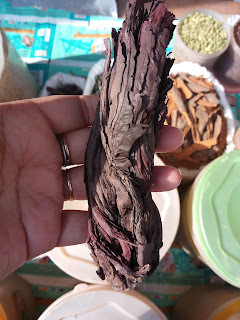 Loved your detailed descriptions about the spice and even the 'nushkas' and 'how to buy' tips. Indeed our Vedas and Puranas speak a lot about spices which form an integral part of the Vedic diet, the Sattvik-Rajasic-Tamasic cuisines and their influences on us. Looking forward to more 'spicy' reads from you as we travel from A to Z ! Exhaustive article on ratin jyot. The westerners always wanted to colonize India because of the rich variety of spices available in our country. Spices used to be a lucrative means of trade for ancient India. Very good article. Wow, this is something new! Good article. This is something new. I never heard of it before. I am glad that I learnt something new today. Thank you for this post. What a great thing to be surrounded by all these spices. If I want anything other than the usual spices I either must try to grow it or order it on line. I look forward to reading and learning much this month month. Never heard of alkanet root before. I have a Patanjali sindhoor at home but never bothered to check for the ingredients. Nice information about this uncommon spice.